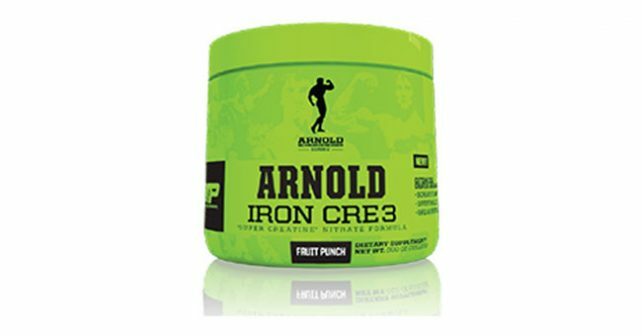 MusclePharm Arnold Iron CRE3 Review – Is it effective? MusclePharm’s Iron Pump is pre-workout supplement that is supposedly designed to enhance your strength, workout intensity, and muscle recovery to help build more muscles. Marketed as a Super Creatine formula by MusclePharm, the product primarily relies on its nitrate formula to deliver results fast. Many bodybuilders use the bulk and cut method to help build muscle mass. Bodybuilders would eat to increase weight and fat ratio. During the process, the muscles will increase in size, in relation to the body’s growing size when loading. After loading, bodybuilders would then cut fat from their body, leaving strong, sculpted muscles in its wake. The idea is to skip the entire loading process and just focus on building the muscles. In this review, we’ll take a closer look into Arnold Iron CRE3 to determine if it really does help speed up the process of muscle mass development. One of the things that you would quickly recognize after taking Arnold Iron CRE3 is the absence of immediate effects. Immediate effects are more common with pre-workout supplements that contain caffeine. Given the lack of immediate effects, there’s no practical way to measure the effectiveness of Arnold Iron CRE3. The reviews we’ve encountered recall details about the mixture. Some customers complain about having an upset stomach after ingesting Arnold Iron CRE3. Side effects are minimal since there’s not much content that can cause adverse effects to its user. Judging from its ingredients, it appears that this product was not designed to be a complete workout solution. It would have helped if there are more ingredients from another supplement in the Arnold Schwarzenegger series, Iron Pump. We can’t help but feel frustrated with the product. It’s obvious that MusclePharm has the manpower and resources to do a little bit of research. If you’re looking for a complete way to power your workouts, check out Xtreme Testosterone and NitroGenix 365.